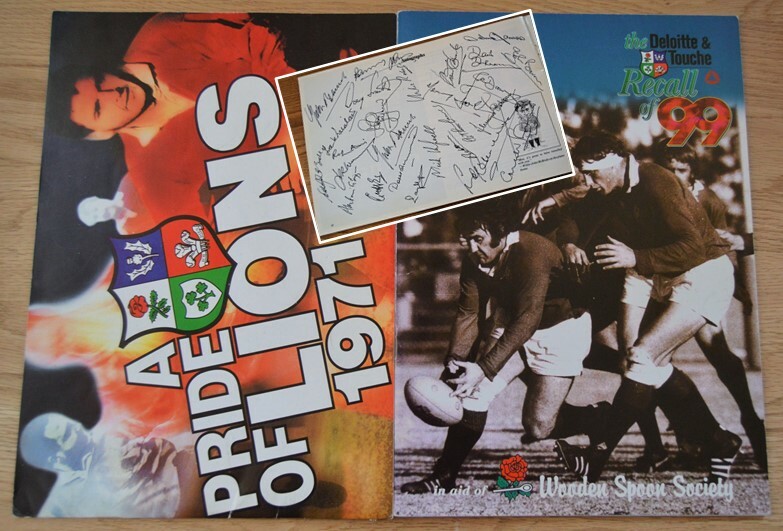 Rare 1971 & 1974 British Lions Rugby Multi-Signed Reunion Brochures (2): Sought-after even without autographs, these are the Wooden Spoon (Rugby Charities) Society's colourful, detailed, beautifully-illustrated A4 size brochures for the 25th Anniversaries of those victorious Lions tours. 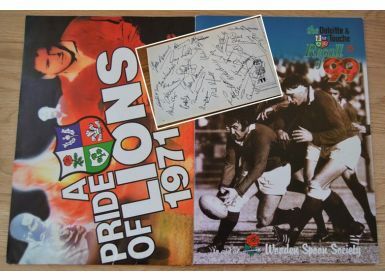 Both have been copiously signed by the Lions squad members to make fine distinctive memorabilia even more desirable. VG.